Dissolve Debt > Blog > Credit Cards > Do you use credit to pay your utility bills? It is hard enough to deal with the ever-rising wave of utility bills that seen to be getting larger each and every year, but having to pay these bills with credit cards surely is making the whole situation even worse! This type of behaviour would have been rare in years gone by, but it is becoming more frequent these days and this is very worrying indeed. 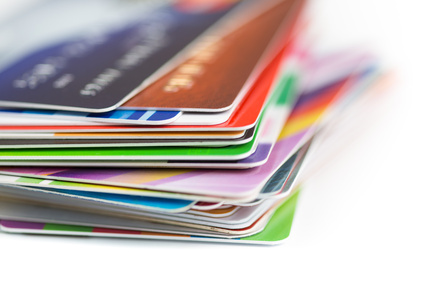 Recent research has revealed that the amount of people who have been using their credit cards to cover their energy and household bills has trebled in the last 6 months. Back in August 2013, around 5% of householders were following this trend, but this percentage is now almost 19% by comparison. Energy prices have risen so swiftly in the last 12 months or so and this has affecting struggling householders in a very negative way. So instead of trying to raise the cash themselves, these families and individuals are almost forced into using their credit facilities instead. It is obvious to see that this activity is fraught with financial repercussions and instead of a short-term issue; we can expect to see a multitude of far larger problems stacking up for these hard-up people. As the interest starts to accrue, these householders will start to pay an even higher premium that the already high energy and utility bills. The monthly repayments to the credit card companies is going to add to the stress and eventually many of these case studies are going to be looking at a very bleak financial future. The 18-24 age group appear to be particularly susceptible to this vicious circle syndrome and they make up for more than a quarter of the whole research subject matter. Once you get caught up in this cycle of debt, it can be very challenging to dig yourself out again. Instead of simply stacking up those credit card bills in order to keep yourselves warm and connected in your homes, perhaps it is time to think about a better way to deal with this dilemma. Take a step back and look at the whole situation from another perspective. If the money coming into your account every month doesn’t match the expenditure, things need to be adjusted. The first area to be concerned about is the amount of loans and credit cards that you are responsible for. Try and consolidate you smaller debts and look for a low interest option to wipe them out. You could also try speaking to a debt management advisory service for some expert help. Dissolve Debt has been helping families and individuals deal with their personal debt issues for over 10 years. If the contents of this article seem familiar to your own scenario, please call us now. We will talk you through a number of solutions that will help you to build for a debt free future. We are a family run business and will use our expertise to design the perfect debt recovery plan just for you. So please call us now because our lines are always available and ready to help you prepare for a safe and secure future!